New Box Alert! 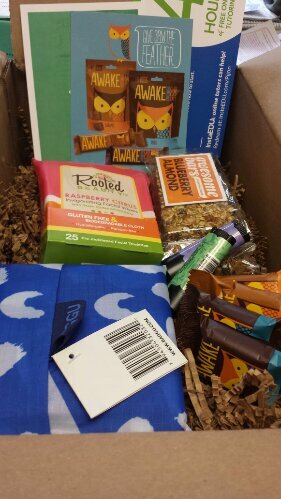 I recently heard of PijonBox, a college subscription ‘survival pack’ as you may call it. I only wish this existed when I was away at school the past few years, as I could have definitely used some care packages. The best part is that it’s not ‘just a snack box’ or ‘just a beauty box’ but combines all aspects that would benefit a college student. Their theme this month (October) is called “Late Night Studies & Distractions,” which I thought was a cute and unique idea. This is my first box and so I wasn’t sure how it would arrive or what I would get. For $29 per month, you get to choose whether it’s going to a male or female student, and it will include 5-6 unique products worth $35-50. 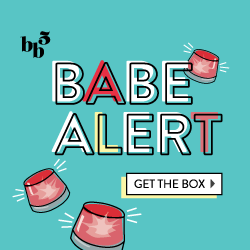 Like other boxes, the more you purchase up front, the less expensive it becomes (6 months ends up at $25 per box) I lucked out by finding a 4-month LivingSocial deal, and of course, I chose the female box, so I would be able to adequately test out the products. This information card was definitely helpful as it laid out the product names and details, and made sure I found every item in the gigantic box it arrived it. 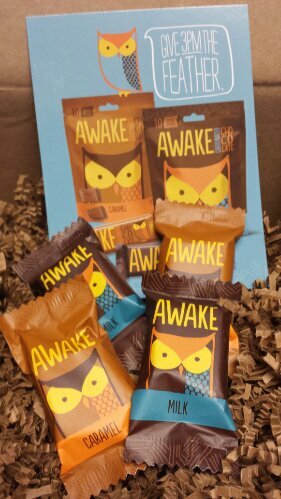 First up are the Awake Caffeinated Chocolates! They came in 2 flavors- milk chocolate and caramel- and 4 wrapped pieces total. While chocolate in general has natural caffeine levels, this one is apparently equal to a cup of coffee. And trust me, I’m loving that. It’ll be great to consume in the mid-morning or afternoon for a pick me up, or in the evening if I have to stay up late. Another set of snacks they included are Awesome Bars, which are granola bars in flavors like Blueberry Almond and Salty Peanut. I have quite a hunch that I’ll prefer the Blueberry Almond one. 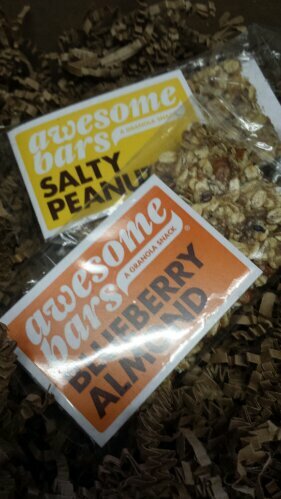 To me, these are more like ‘breakfast bars’ and good way to get protein and grains like oats in the morning. I think this is one of the products I’m most excited about. 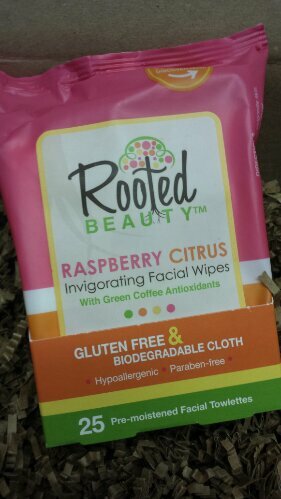 These Rooted Beauty Raspberry Citrus Invigorating Facial Wipes not only smell delicious, but they’re made with green coffee antioxidants and are hypoallergenic. Best of all, it’s not a sample pack, but a full 25-pack of towelettes. 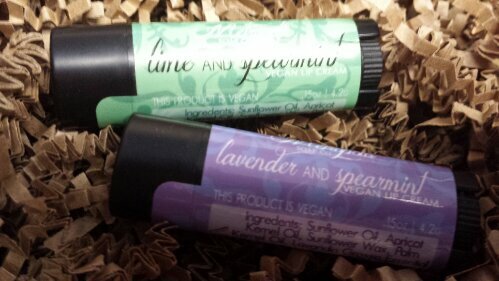 Next, we have two Metropolis Lip Balms, one in Lime and Spearmint, the other Lavender and Spearmint. I’ll be honest- I often prefer fruitier balms like strawberry or coconut to minty or herbal ones. However, I’m sure these will be used as I go through lip balms like water! 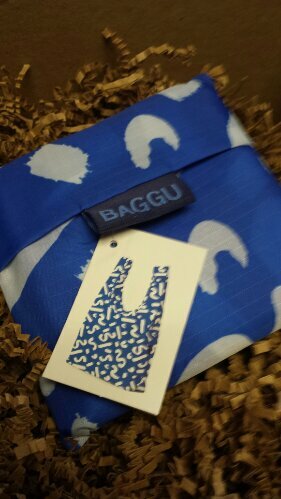 Next we have a Baggu Reusable Bag in this cute royal blue and white pattern called Paint Blue. It’s a simple, washable nylon bag that can be folded up when not in use, and easily opens up to work as a reusable bag. I could see myself using this to carry lunch to work or possibly with groceries. I’m not 100% sure if I would count the ‘price worth’ of these with the total box, as with beauty boxes, I don’t usually take samples and foil packets into consideration as many come free to the company. However, if you need a tutor, you can test this program out for 4 free hours, as long as you remember to cancel your subscription after the freebies. 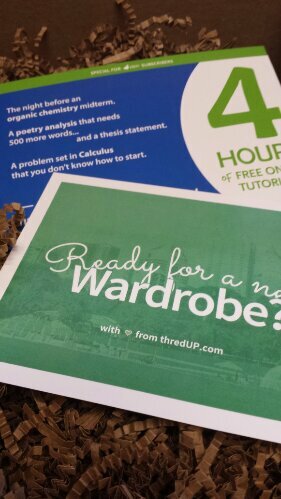 Additionally, if you’re into ThredUp, there’s a $10 discount offer. Here’s my total view of my first PijonBox, so you can see all the items! All in all, I was pleased with the snacks and beauty products, and can find use with the reusable bag, however I was hoping for another ‘wow’ factor. In their September box, they had a room decor item, a peel-and-stick chalkboard, and so I was kind-of hoping for a cool room/office object like a picture frame, set of awesome markers or funny post-its/notepads. Plus, I also got a sneak peek at the October Men’s box and like how they stayed within a similar theme, but replaced the ‘girly’ lip balm and face wipes with sore muscle rub, a simple balm and playing cards. Interested in PijonBox? Sign up here! Plus stay tuned, as I’ll have reviews for the next few months as well.